Grieving is a healthy response to a lost loved one. This was a recurring piece of advice given to me after my husband moved out. But I had a major problem with it: If I hid my tears from my three children, and limited my crying only to my time in the shower, my skin would be perma-pruned. Why? Because I’m the Varsity Team Captain of Crying. I wept my way through 99% of last year. I was crying because I had found myself in an unexpected divorce and a single (and scared) mother of three. Shortly after I turned 40, I discovered my husband’s double life. To say it was heartbreaking grossly minimizes the entire soul crushing, the-world-is-upside-down-experience. He couldn’t deny it, I had found too much evidence. So, he finally confessed, disclosed more stomach-lurching details, and moved out three days later. Overnight, our happy family of 5 was forever changed. With three shocked and confused tween/teens watching, I pulled the fire alarm on my trusty text loops, and my sister-friends responded en mass. They came in shifts to help run my household so that I could do what I needed to do, which was grieve. Curled in a rocking ball, weeping. I cried myself to sleep and cried IN my sleep, waking to a wet pillow many mornings. The collective shock my children and I shared, hung heavily in our home. A home that now felt that it had been vandalized, less safe, with walls full of secrets only the recently “departed” had known. At one point, my teenage son literally picked me up off the floor. He had seen me collapse, in a moment of utter and profound pain, where my body shut down on me, my legs folded, and all I could do was fall to the ground and weep. I somehow remembered to assure them over and over, that I would be ok. I clearly wasn’t “ok” at the moment, but age and life experience had taught me that my grief was normal and also (thankfully) temporary. I knew that eventually, my big hot tears would stop falling. I felt in my bones that “this too shall pass”. I was besieged by well-intentioned loved ones giving me advice, and I noticed a common theme: Hide your grief! But our now heartbroken family was worth the tears, and so much more, which is why I was in mourning. My marriage had died unexpectedly, and yet there was no physical death so my grief was considered “Ambiguous”. In addition, the innocence of my family had died too. It wasn’t a conscious decision to reject all of that well-meaning advice. It just wasn’t a viable option for me. I couldn’t have been anything less than authentic in my deepest, darkest hours. Fake it ‘till you make it wasn’t happening. So, I grieved openly, hiding only my visceral screams and pillow-punching sessions from my children. Everything else was on-display like a dressed up Christmas department store window. Except, I was far from dressed up. My grief and my days-on-end-pajama-wearing lasted a long time. Grief became a part of our home, like a temporary visitor we entertained, and learned to live with. Days turned into months, and then a year. One day, we noticed the Grief wasn’t around so much anymore. Go figure. But Grief does pop in now and then, always unexpectedly, of course. On some days Grief just hangs out with one of us. And it’s ok, because we all know what it is. We know we can’t hide from Grief and expect it to leave, we can’t push it down or ignore it. Doing so feeds it- and then it festers and grows like a weed. So we look at it and talk about it. We call it by name. We honor it by moving through it, and we come out the other side. Yes, I absolutely did cry in the shower, but I didn’t only cry in the shower. 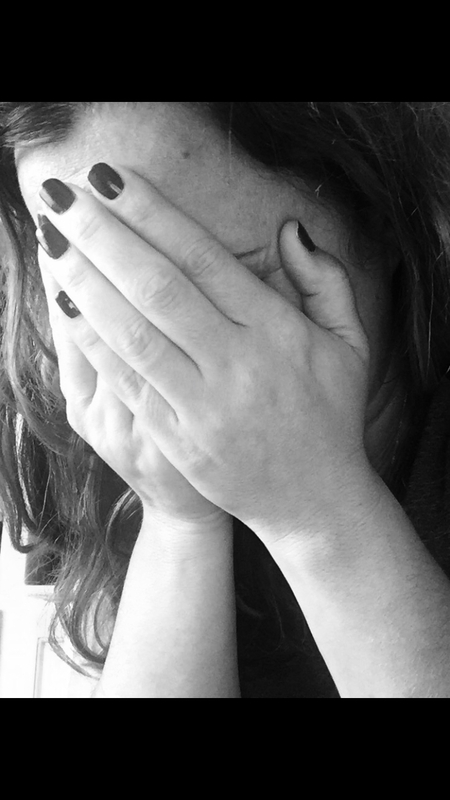 I didn’t bottle my pain and sadness and hide it all from my children, pretending I was “fine”. “Are you ok, Mom?” They would ask, “Not right now, but I will be”, was always my response. And now, I am okay, and they know why. Because I worked through it by naming my grief, identifying what tools I needed for healing, working really hard to focus on all the love I had in my life, and not dwelling on the love that I lost. I’ve learned that my open crying showed them that grieving is a natural, healthy response to emotional pain and loss, and that my grief was proportionate to the love I once held. They couldn’t have learned that had I hid it from them, and kept my crying only to the shower. Doing so would have been a disservice to my children, to myself, and to all of the new beginnings we have before us. If you’re grieving the loss of a loved one who is still living, check out http://www.riseuprooted.net to learn about helpful resources to build resilience and 7 rerooting tools to aid in your healing. Stephanie is the Founder and Steward of Rise Up Rooted, a budding online community where those presently living with ambiguous grief are invited to seek resources that offers support, affirmations, suggestions, conversation and a community to help navigate the gnarled nuances of this under-recognized emotional experience. Inspired by the shift that happened in her healing upon meeting others experiencing this form of grief, Stephanie created Rise Up Rooted, a resource for those seeking to understand their "different" grief, and to do so in a safe and supportive community.